Simple yet sophisticated, these diamonds will dazzle with your every move. 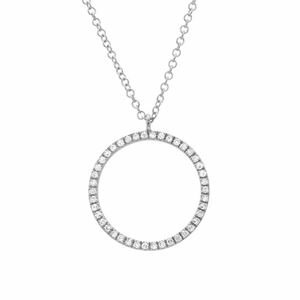 Stunning .13 carats total weight of round diamonds are featured on a white gold open circle pendant. Perfect for the everyday statement accessory.